Its finally Friday! Plus, its actually the last day of September. Can you believe it?! This year has officially gone into double digits with its months. I am super excited about this weekend though – I shall be attending my cousin’s wedding in Alabama plus its my one year anniversary with HWMNBN! Fun times ahead for sure! Expect a post Monday about the weekend’s festivities. Have a good one! I am obsessed with these. Must make these for fall..or a Snow White party! This is my future child. Super cute! It will have extra costs than just carving the pumpkin though because of the ribbon and buttons. I wonder if you can remove them and save them for the following years. Am I being too frugal? More buttons! It would be cute to do this with all the seasons! Genius idea. I am definitely doing this when I buy my first fridge. Might get a little messy with all the chalk dust though…at least it will be pretty pink, blue, green and purple dust. If you haven’t seen Crazy Stupid Love yet then you are missing out on a great movie and on this! I always have pictures of cats and dogs, so here is a bunny for you. I saw a bunny cross the road the other day…it looked just like this – like it escaped from some one’s house and is free at last. I love this photo! They didn’t get upset about the horrible weather and instead turned it into an awesome photo op! Paper dolls of all the Disney princesses! They did a horrible job on Pocahontas though…she looks like a caveman. Loving the groom’s excitement/fist pump! If this is real and not photoshopped then I must go here immediately! Hilarious! We all have an awkward stage. My all time favorite TV couple is definitely Lily and Marshall from How I Met Your Mother, but Jim and Pam are a close second. I didn’t start watching until after they got married and had a baby, but my friend Charlie and HWMNBN have said I missed out on their awesome story. From the quote below, I must agree. Love this picture of Lauren, Lo, and Whitney. I hope they have this framed in their house. The perks of you and your friends being celebs – you guys have awesome photo ops. Oh, Matthew – please make a new movie soon. Preferably with Kate Hudson. 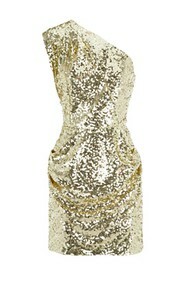 Sparkles and one shoulder?! Fab fashion overload. Fab fashion overload. Perfection. I don’t know if its a good or bad thing that Rachel Berry and I have the same wardrobe. Pretty…weird that I love that this looks like its a napkin holder? I have this sign on my bedroom door, but it does look cute outside too. Might have to buy a stake. Look at that puppy look! Ugh…I am in love with Ryan Gosling’s style in Crazy Stupid Love! Guys: take notes. 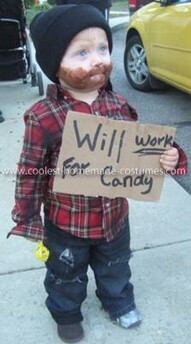 Kids will work for candy! I hope this is a costume and his parents did not put him on the street to collect candy from strangers. Yes, I actually do want this cookie jar.